I don’t know if it is just my own neighborhood (or for that matter just my own fading hearing) but the “morning chorus” seems diminished to me. I’m still hearing the species I expect to hear – the robins and the Song Sparrows, the cardinals and the Carolina Wrens - you know, the usual suspects – but they just don’t seem to be as thick as I remember from past years. Granted, there are still more robins than you would think there would be room for, and House Finches are just about everywhere – but I think there are fewer birds. The numbers from our own surveys, like the Northern Virginia Bird Survey, tend to bear this out, and it is a very worrisome trend. It is one very good reason for each of us to be doing what we can to improve and protect bird habitat - whether that means planting native plants so as to attract “bird food” (insects) into our yards, or providing pesticide-free stopovers for migrants, or preserving natural areas in our parks and commons. Wondering what you can do? Take a look at our Audubon at Home program. 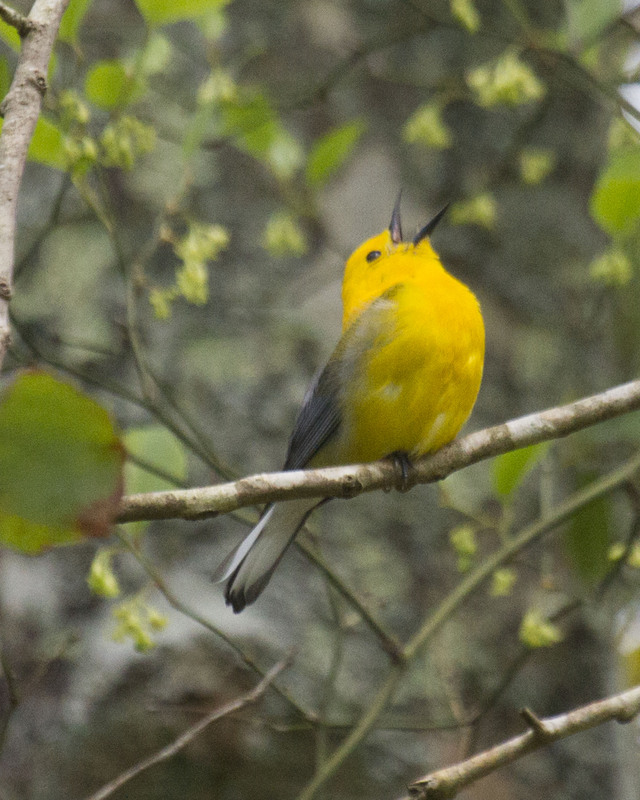 Speaking of surveys, our June Audubon Afternoon (save the date, Sunday June 12) will feature Mike Lott, the regional coordinator for the recently launched Second Virginia Breeding Bird Atlas, a multi-year, state-wide survey of the species that breed in our Commonwealth. He’ll speak to us about the history and purposes of the Atlas, and also provide information on how you can get involved. We have several opportunities coming up for birders. We need some people to help staff “observation stations” at the Mason Neck Eagle Fest at Mason Neck State Park on Saturday, April 23. Contact us at info@audubonva.org for more information. We are also looking for people to help out at a “big sit” at Whitehall Farms in Clifton that same weekend. The big sit will be part of our Birdathon this year—for more information about Birdathon, click here. A sign-up sheet for the big sit can be found here. Both events should be a lot of fun, and a chance to meet some of your fellow members. Even if you can just come out for a few hours, we’d love to have your help. 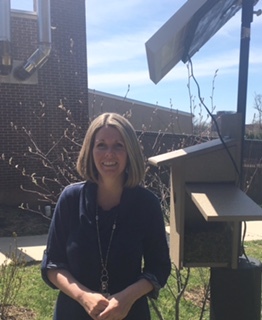 Below, Kate describes how the experience inspired her to transform the area outside her classroom windows into an attractive environment for bluebirds and other native species. She teaches fifth grade at Glebe Elementary. Want to see young students get excited about conservation ideas and wildlife? Just check out one of Morgan Occhuizzo’s classes. Spring is here, and Birdathon is on its way! It’s time to organize your teams and sign up for our annual spring migration birding competition. The concept is simple: Participants can bird in teams of two to five. Team members then make their own donations or secure pledges from friends, family members, colleagues, neighborhood merchants, etc. Then, during any 24-hour period between April 22 and May 15, teams search Northern Virginia to see how many bird species they can identify. As in the past, we will be awarding prizes to members of the team that raises the most money and to the team that identifies the most species. Click here for more information. The Audubon Society of Northern Virginia is going to hold it's first annual Earth Day Big Sit, and we're looking for volunteers to help identify bird species. Our aim is to ID as many bird types as possible from inside a set area. The event will take place at the bucolic Whitehall Farms in Clifton as part of its Spring Festival. Click here for more information about Whitehall Farm. We need volunteers on both Sat., April 22 and Sun. April 23. Responsible teen birders in need of community service hours are welcome. Volunteers get free admission to the festival. 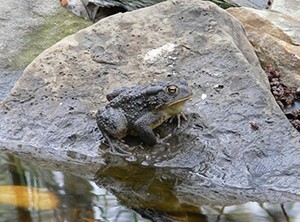 Event qualifies for Fairfax Master Naturalist service hours (#E030). Please sign up by clicking here. Most area local governments are now considering their budgets for the coming fiscal year. Budget time offers opportunities for ASNVers to advocate for more parks and conservation. Check with your local government to find out about hearings and other meetings. What Kind of Parks Do We Want in Fairfax? In addition to electing a U.S. president this year, Virginians will elect 11 members of the U.S. House of Representatives. It’s never too early to get involved and make the case for conservation. Let’s see what the lake shore and woods of this lovely park area have to offer us for the spring. Bill Brown leads. Sponsored by the Bird Feeder of Reston and the Reston Association. 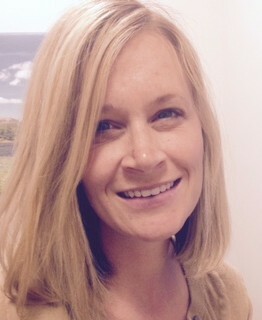 Meet leader Melanie La Force at the park for a spring birding start. Then continue downriver for birding stops including an end at Theodore Roosevelt Island. It’s a great time of year to bird these areas with river, woodland, and marshland habitats. Sponsored by ASNV. Getting there: From the west, take I66 east to Arlington exit to Lee Highway. OR from the South, take 95/395 North to the Glebe Road North exit. Follow Glebe Road for several miles to Lee Highway. From Lee Highway or Lorcum Lane, head North on Military Road. Turn right onto Marcey Road to address 2845 Marcey Road, Arlington, 22207. Meet at the parking lot near the restrooms and picnic area; look for Melanie in the brown hat with the woodpecker design on it. Fields and wood edge make this a park home to meadowlarks and sparrows, while the migrants stop by to rest and refuel. Phil Silas leads. Sponsored by the Northern Virginia Bird Club. Getting there: From I-66, take Rte 234 south (exit 44). Travel 4.5 miles and turn right onto Rte 28 (Nokesville Rd). Travel 1.5 and turn left onto Rte 619 (Bristow Rd). Travel 0.25 mile and turn right onto Iron Brigade Unit Ave. The parking lot is located on the left at the traffic circle. 10708 Bristow Rd, Bristow VA 20136. The ephemeral wildflowers of spring are the highlight of this walk. They can be great splashes of color or demure gems almost hidden on the forest floor. And they appear for such a short time, you don’t want to miss this opportunity. Ruth Schrott leads for ASNV. Getting there: Take Georgetown Pike (Rte 193) to Riverbend Road (Rte 603). In 2 miles turn right on Jeffery Road and go 0.8 miles to park entrance sign on right. Turn right and continue 0.5 miles to Visitor Center parking. 8700 Potomac Hills St, Great Falls, 22066. Meet at the visitor center. This woodland, creek-bed park provides a fun and easy walk, with promises of shrub and treetop birds. Catherine Kubo leads. Sponsored by the Northern Virginia Bird Club. The wooded areas and field edges of the Gardens provide some great opportunities to catch spring migrants as well as local residents. Join leader Ray Smith for birding this beautiful location. Entrance fees apply: $5.00 general and $2.50 senior. Getting there: The gardens are located off Beulah Road, between Route 7 and Route 123, south of the Dulles Access Road. From the Beltway, take Route 7 toward Tysons Corner. Drive 4.5 miles west on Route 7, turn left onto Beulah Road and drive 2.5 miles to the gardens entrance on the right. Meet in the Visitors Center. Join fellow birders as we look for Swainson’s Warbler and other spring migrants at Great Dismal Swamp and Red-cockaded Woodpecker at Piney Grove. Steve Coari, Field Trip Chairperson at the Virginia Beach Audubon Society, will be guiding the full day trip through the Great Dismal Swamp on Saturday. A representative from the Center for Conservation Biology, will be our guide on Sunday at Piney Grove. At the National Parks BioBlitz and Biodiversity Festival, teams of scientists, students, teachers, and the general public will join in a two-day race to discover and document the flora and fauna of select National Capital Parks. For website and an email address for more information, click here. More details to come in the May newsletter on birding this unique area. Sponsored by ASNV. Ellen Jacobson leads. Check for details in May newsletter! And many more to come in May! Clean your binoculars and check back in April! This is a presentation on April 14 by Alonso Abugattas at Green Spring Gardens Horticulture Center. This presentation is sponsored by the Potowmack chapter of VNPS and is free and open to the public.